Boy it feels “heavy” in the city. No wonder everyone seems to have escaped to the beaches, fake or otherwise. Anything for a little bit of fresh air and cooling breeze. 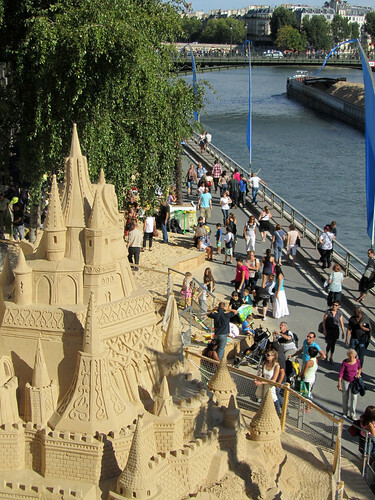 On passing Paris-Plages today, the quay was absolutely packed with adults and children alike, and a stroll along the beaches revealed various on-going events. Best to enjoy with ice cream in hand, I believe.